We a group of food bloggers started a new event and named it as Vegan Thursdays, this event starts from today. The main motto of this event is to share vegan dishes from any cuisine. Most of our Indian foods are vegan, obviously most of our daily routine foods we make or eat are vegan without our knowledge. Veganism means abstaining from the use of animal products Vegan peoples don't use dairy products,eggs,and any other animal derived substances like honey in their cooking.So we a bunch of food bloggers will be showcasing our vegan foods during Thursdays this event will held twice a month. We will be posting the first week's thursday and last week's thursday of every month. 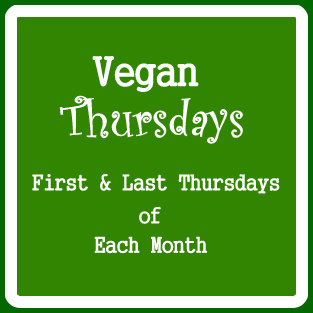 This Vegan Thursday don't have any theme and the choice of the recipes prepared by each blogger being part of this event depend upon their choice. Anyone interested in joining us, please leave your email id in the comment section and we will contact you. 27)Mina Joseph of My Cook World. 29)Prabha Mani of Prabha's Cooking. Welcome to the group Prabha..